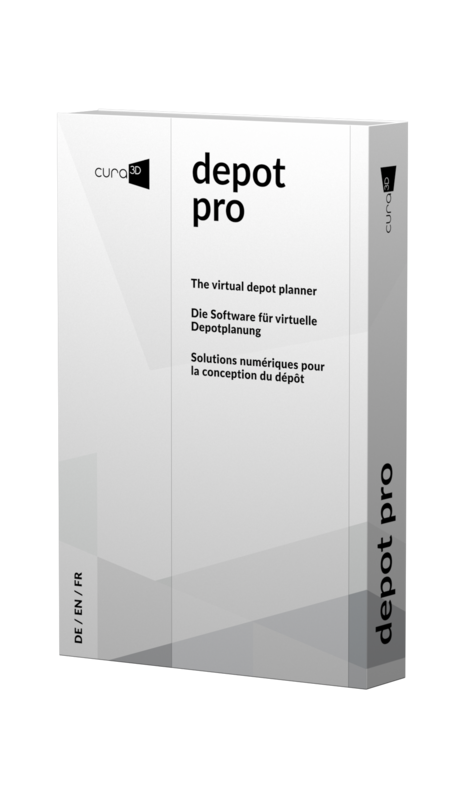 With depot pro, cura3D offers software tailored to the special requirements of depot planning and administration. Through the existing connection routine to all large collection management systems (CMS) such as zetcom museumPlus, GallerySytems TMS or adlib museum, the data transfer takes place in the shortest possible time. If the exhibit placement is stored in the database, it can be directly mirrored, otherwise the exhibits are arranged in an inordinate manner on the drawing grids. 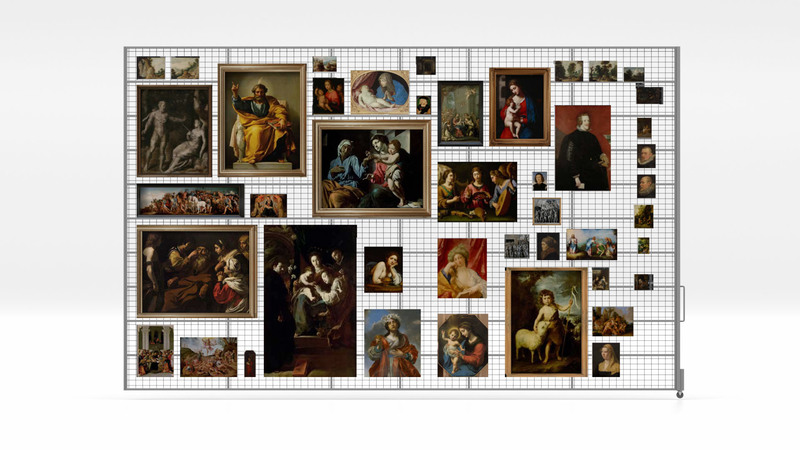 Depending on whether the works are framed or unframed in the collection, these Metdaten are taken over and visualized, so that the frame dimension can be considered as a relevant criterion. A return of the placement information into the CMS can be done just as easily. cura3D depot pro offers algorithmically supported placement optimization. Nach Wahl verschiedener möglicher Kriterien wie Veröffentlichungszeitpunkt, Künstler, Schule, oder Gewicht werden die Exponate unter Berücksichtigung der tatsächlichen Hängemöglichkeiten platziert. This algorhitm provesextremely efficient an existing depot and can achieve optimizations by more than 20% in terms of capacity utilization. In the best case, this means being able to dispense with additional drawing grids whose acquisition and installation costs would exceed the financial expense many times over. The previously described filter routine, for the pre-selection of the exhibits to be placed, makes it possible to find the exhibit in a matter of seconds in the same amount – and this at the exact spatial position. The databases have so far recorded the archive grids (front-back), but not at which point the exhibit is located after. Once the real depot situation has been virtually mirrored, it also means that an inventory review can be done in a very short time. The orthogonal (frontal) view of the grids and the ability to “leaf through” the grids is a function decidedly designed for depot pro. If the perspective view is absolutely necessary in the exhibition planning, in order to get an impression of the actual spatial situation, the orthogonal view serves for clarity. To discuss depot situations the perspective view and the plan view are still available. The export of individual archive grids as PDF serves as excellent communication basis for relocations or further depot planning. The transfer from virtuality back to paper also offers the simplest possibility for discussions about the archiving positions of individual exhibits or possible changes within the depot for meetings and as an “analogue” planning basis. As an example, the pre-visualization before a possible depot optimization in the simplest conceivable format can be mentioned at this point.